GARDAÍ ARE INVESTIGATING after a taxi driver’s phone was stolen by two men in Dublin last night amid a large spike in similar incidents. The incident took place at Hazelbury Park, Clonee at 8pm yesterday evening. The taxi driver had picked up the fare on Gardiner Street was heading towards Ongar. When in Clonee, one of the men grabbed the driver’s iPhone, while the other produced a gun, which appeared to be fake. The two men then fled on foot. It is understood there have been several similar robberies in the area over recent weeks. Many drivers have been advised to avoid picking up or dropping people to the area. 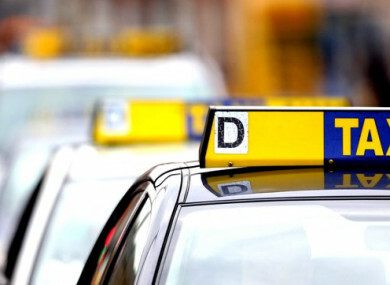 Email “Gardaí investigate after taxi driver has phone stolen by two men with 'fake' gun”. Feedback on “Gardaí investigate after taxi driver has phone stolen by two men with 'fake' gun”.